Manufactured from heavy section coated steel. Folds flat for easy storage. 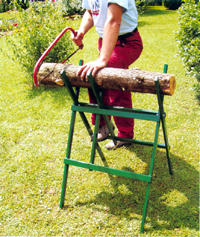 Suitable for up to 20cm/8" Logs etc., No assembly required.